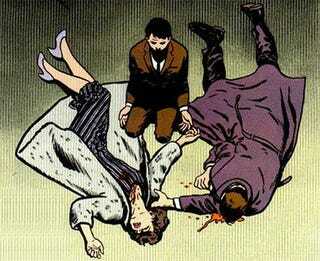 Had you heard that Bruce Wayne's parents were murdered in an alley behind a movie theater? And that trauma drove him to eventually don the mantle of The Batman? I'm worried you might not have heard. Maybe you should watch it again.